As women doing our thing, we have always admired other women doing theirs. 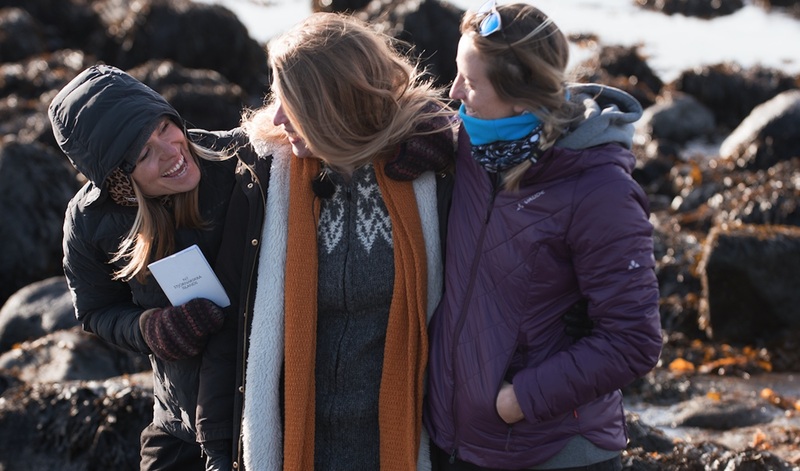 When Aline Bock told us, that she was going to Iceland with her Swiss friend Anne-Flore Marxer to make a movie on female role models shaping their land, we got really excited. Those two snowboarding legends, who have played a significant role in pushing equality in Snowsports, Aline and the movie “A Land Shaped by Women”, which will be shown in diverse European film festivals this autumn, is also supported by VAUDE, a long-term partner of ours, and an exemplary company thriving under female leadership. 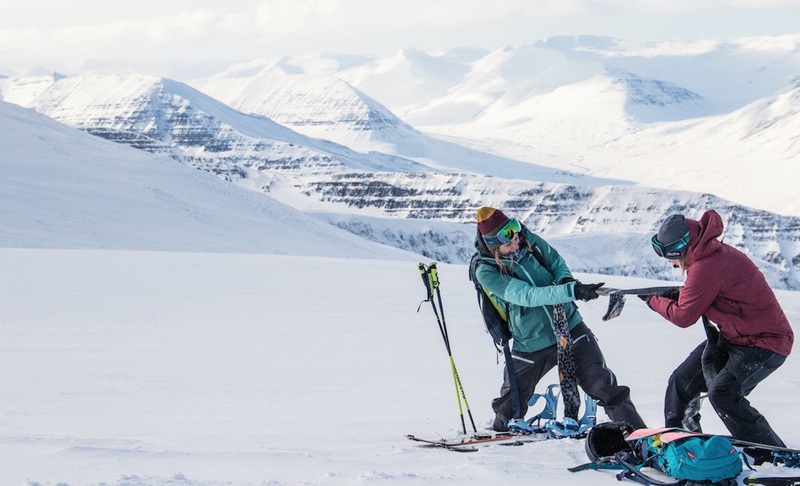 VAUDE has equipped Aline with pieces of their Core Collection, a beak though array of innovative materials combining all their knowledge on cutting edge sustainability performance. 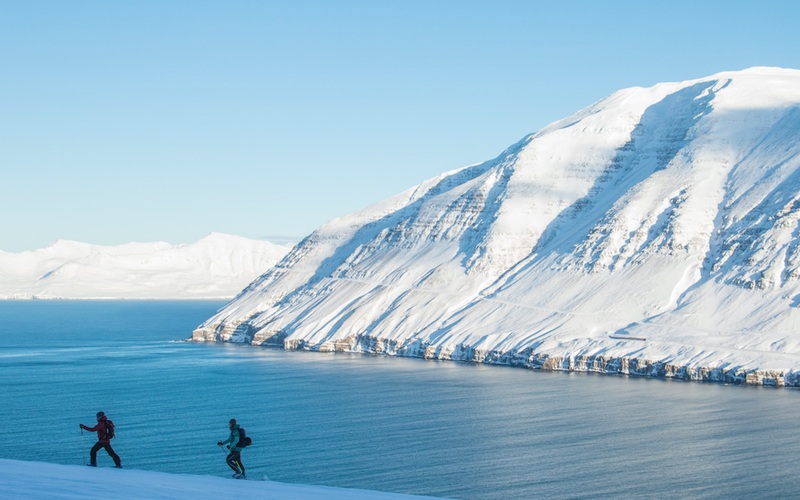 As professional snowboarders who’ve fought hard for gender parity in a male-dominated sport throughout their careers, the ladies wanted to dig deeper into this daring mentality while combining it with their love of adventure. Along with Aline, travelled the VAUDE Green Core We Cape and the Green Core Fleece, which she claims are her favourite items. Aline is always on the road and she claims that the force, which is driving her forward, is a mix between the fascination of adventure and the fear of a daily routine. Before that kicks in, she wants to see and experience so many more things, get to know so many more people, places, cultures to probably find out, that there is no place like home. 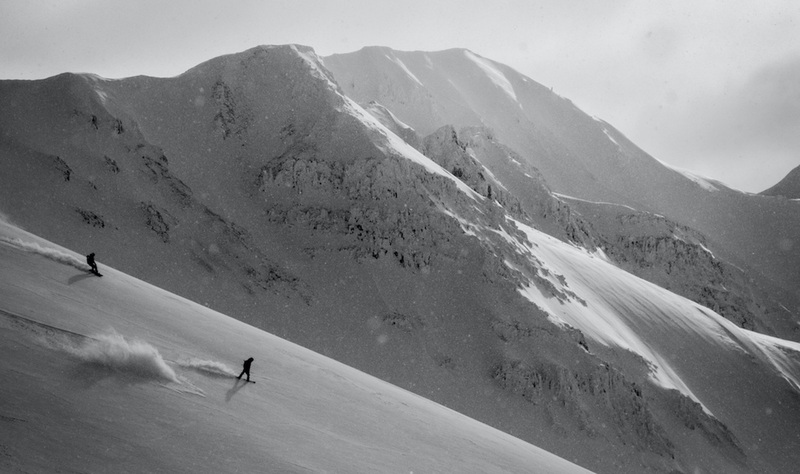 The fact that her sponsor VAUDE is from her home place endeared both parties to one another. “And I’m also very impressed with Antje von Dewitz. She really is a role model. When she took over from her dad, she wanted to do it right and put all her efforts into transparency: where do they produce and what exactly is going on in the supply chain. I love their commitment towards the social aspects as well, not only being a Fair Wear Member with a leader status, but also taking on refugees at their home head quarters and giving them a future in our country. 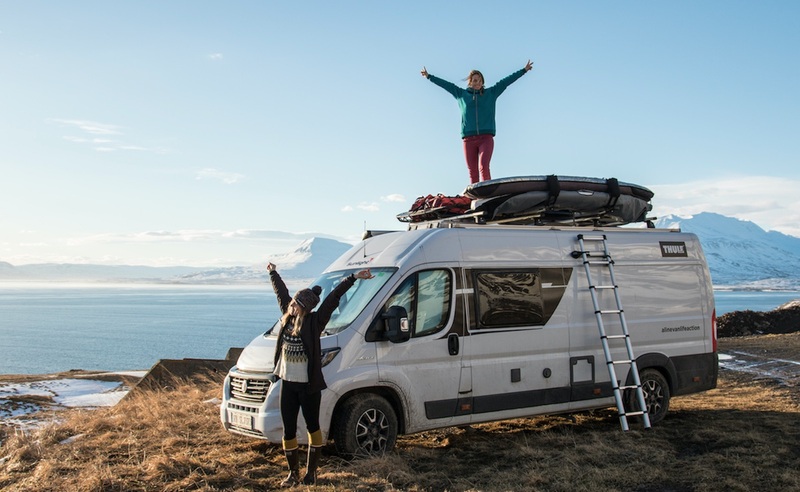 So Aline takes her van around Europe and beyond, chasing dreams and meeting people. Travelling has definitely opened her up, she claimes, and taught her to ignore the warnings and worried voices of others. Iceland has a long and distinguished history when it comes to gender equality and women’s rights, both in the workplace and at home. On October 24th 1975 a staggering 90 per cent of the female labour force went on strike to prove to the rest of the country how vital their contribution to the workplace was. It’s no coincidence that five years later they elected the first female president in the world. A single mother, who was hugely popular and re-elected for four terms, holding the role for a historic 16 years. For the last nine years Iceland has topped the World Economic Forum’s index for gender equality, thanks to its world-leading policies including teaching pre-school girls how to be more assertive. There really is a fascinating and wholly admirable national mind-set when it comes to gender equality in the country. 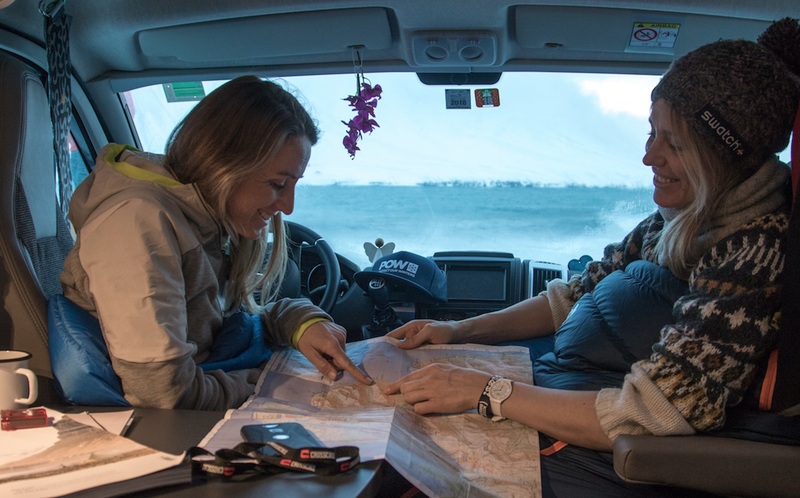 As professional snowboarders who’ve fought hard for gender parity in a male-dominated sport throughout their careers, Aline and Anne-Flore wanted to dig deeper into this amazing mentality while combining it with their love of adventure. 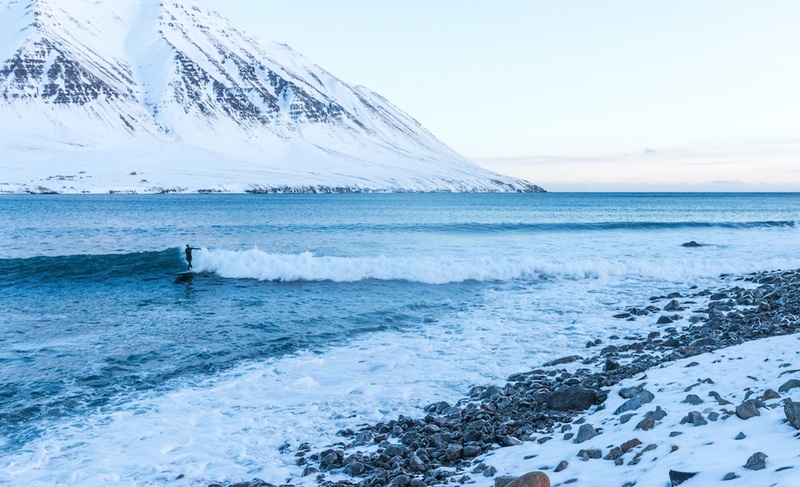 They went split-boarding with Heida Birgisdottir, Iceland’s first female surfer, one of its first female snowboarders, and the founder of iconic women’s board sports brand Nikita. They hooked up with an all-women hiking crew to hear how empowering their group adventures have been and experience a mountain rescue program designed specifically for schoolgirls. They met Katrin Oddsdottir, human rights lawyer and political activist and all over amazing woman, who was part of a small team that drafted Iceland’s new constitution. Their next encounter was with Vilborg Arna Gissuraardottir. She is a true modern hero in Iceland, as she was the first local woman to climb Everest and reach the South Pole; everyone in the country knows her name. „Well, the way I got to really know them was by doing a film on biking in Ireland. And since VAUDE promotes to be outside and living the outdoor kind of life more then extreme achievements, it actually fits very well. Of course professionally, I am a snowboarder, but I guess they liked the idea of having my as a female Vaude athlete, because I really am an outdoor sports person with many sportive affinities. (* 23. July 1982 in Gießen/Germany) is a German freerider. She stared out to compete in half pipe events and changed to slope-style very quickly. 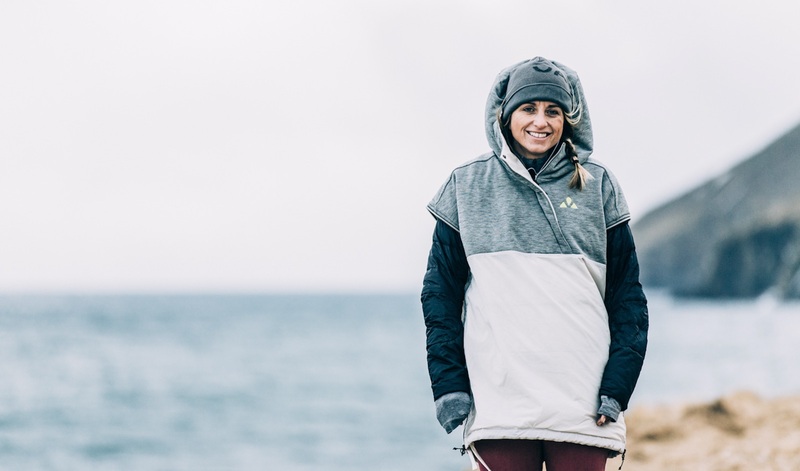 A few years later she concentrated on feeriding and took part in the Freeride World Tour, which she finished as the runner up in her first year. In 2010 she won the gold medal.